Hardline takes the mainstay open maps the Battlefield series and scales them along a few city blocks with a focus on vertically. 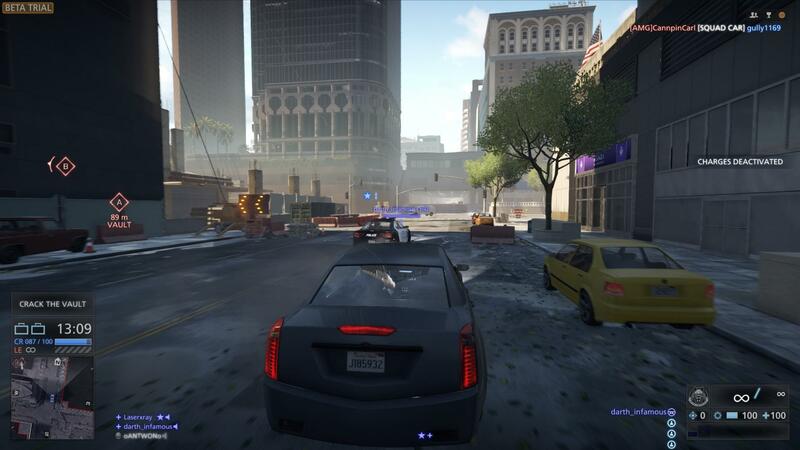 Right now, the beta only has one map, High Tension, which is set among skyscrapers and freeways near downtown LA. The move from wide maps to a police barricaded urban setting is more than just window dressing, though. Combat favors those in mid to close quarters rather than long-range snipers. If you liked the frantic feel of Close Quarters, the Battlefield 3 expansion, Hardline will feel at home. But the difference in Hardline is not just the size of the map. 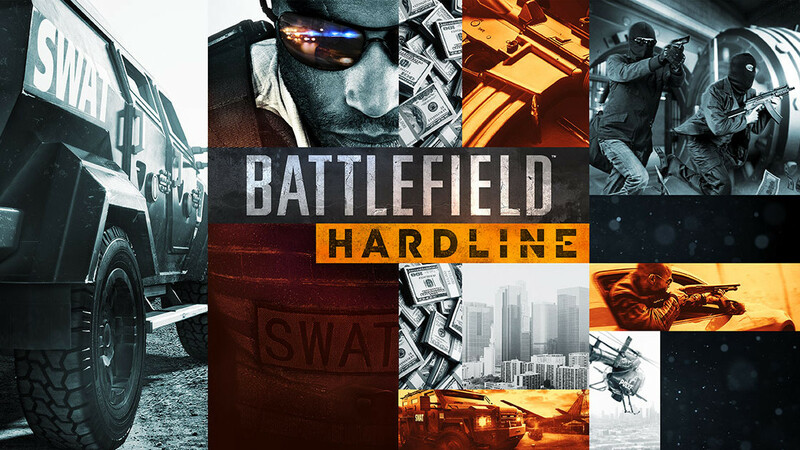 Instead of the series staple of 64 players, Hardline only supports up to 32. On the surface, that seems like a significant downgrade in terms of both the pace and absence of combat. But the smaller sized maps and focus on closer quarter combat makes the smaller player count seem insignificant. Rarely did I spawn into the map without action somewhere near me, and when I did, a vehicle was always nearby to get me there. Vehicles also plays a different role in Hardline, though at the moment this seems more based on how people are playing rather than a design decision by Visceral. High Tension features mostly ground vehicles: motorcycles, vans, cars, SUVs, and one transport helicopter. The keyword there is transport. Players are using vehicles to get back into the action and less for combat. That’s not to say they can’t be used combat, though. The police's mobile commmand post, armored to the teeth, has two guns on each side of it, while the criminals have an SUV with a roof that opens for a turret. With a setting like cops and robbers, the go to maps of Battlefield like conquest and rush wouldn’t have the same dynamic on the smaller scale maps. Hardline introduces two new game modes suited better with the urban warfare setting: Heist and Blood Money. Heist feels directly inspired by Heat. The round starts with an armored truck crashing on the freeway, tumbling over the side onto the street below where criminals have to set a charge on the back of it, blow it open, and steal and escape with the money. Meanwhile, cops are rushing towards the scene in cars and motorcycles, defending the area from criminals, or giving chase once criminals have the money. Blood Money has a stack of cash sitting near the middle of the map, with both sides rushing towards it. Criminals are stealing the money, while cops are securing it for evidence. What makes this mode stand out from a rudimentary capture the flag mode is either team can head to the enemies’ secure drop off and steal from their vault, turning the game almost into cat and mouse. 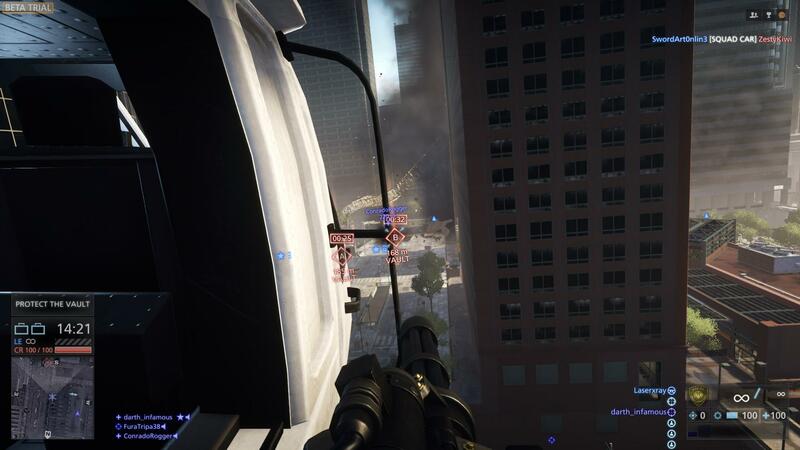 I could easily be cynical and label Battlefield Hardline a mod for Battlefield 4. It feels similar, runs on the same engine, shares some assets, and even some of the same animations. Police don’t usually carry rocket launchers nor have parachutes for when they jump off the roof of a skyscraper, but they do in Hardline. If I were cynical, I would call the beta for Battlefield Hardline a mod. It only has one map, two game modes, and a limited amount of weapons and vehicles. However, Hardline will be more than one map, more than two game modes, and will include a singleplayer campaign by the developer of the Dead Space series, who might not be the best storytellers, but they probably have a better chance of it than DICE has in the past. For those who enjoy the mid to close quarter combat feel of Battlefield, Battlefield Hardline is more than just a mod and could be a great spin-off in the same vein as Battlefield 2142.